Navy Pincord Leggings - Available only in a very short run to be delivered in January! 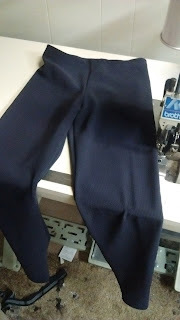 I have a very small roll end of dark navy/carbon navy nylon spandex with a pincord texture that I am making up into Leggings. 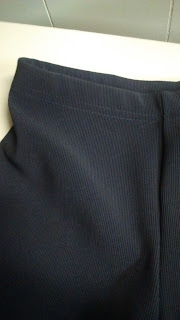 This is a fabric I search for because of the comfort, stretch and durability it provides. "Leggings as pants" are quite well done if the fabric is of this high of a quality! Roll ends are short lengths of fabric that big production factories can't use because of their cutting equipment designed to cut 1,000's of identical pieces at one time. 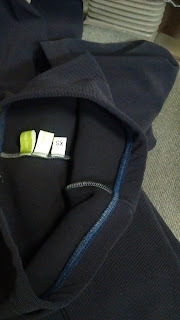 Unless small designer/entrepreneurs like myself can find uses for them - they end up in our landfills. I'm proud to be small enough to play a role in trimming back needless waste. More new fabrics arriving in early January! A muted purple, a brown and a gray - great neutrals for your winter fashions with the boots you need to get through slushy, mucky days to come. Let me know soon if you want your pair to be on the cutting list. If you get in early - I can custom cut for longer inseams. And I pattern into 300 lbs or more - not a problem - let me know! 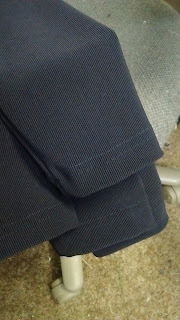 These are a wonderful deep navy blue/carbon navy fabric with a pincord texture. The ribbing finish makes them thick - a premium winter weight fabric that will smooth over any bumps while keeping you warm! Thick enough to pass any "leggings as pants" test and oh, so nice and stretchy. Machine wash cold and air dry for best results. Nylon spandex blend. Industrial style, professional stitching throughout all completed in my workshop near Allen, Kansas. Comparable to what you might find from higher end department stores selling for $79 to $99. Available only while my fabric supply lasts! Adult sizes are $58 each. Children sizes at $38 each. I size by weight - odd, huh? But, very effective with the fabrics I love to work with. Message me with a "number" and we'll get your fit exactly right! Paypal. Please add $5 for shipping unless you are coming this way. Delivery dates will be January 20-31st. Fully guaranteed - you know where to find me if you have any problems with your purchase! Wild Sprouts Girls Swimwear - How Do I Know If She's a Long Torso? Wildsprouts Swimsuits for Girls with a Little Attitude! Swimsuits for Girls! Every Girl Is Uniquely Beautiful! Are You A Boutique Owner Looking for Unique Spandex Items for Girls? 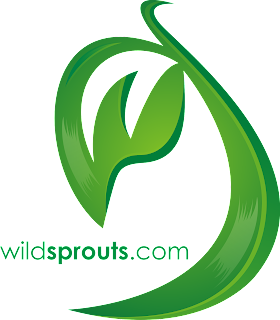 Wildsprouts swimsuits are available in a random range of colors and prints - sizes 4 through 14, including long torso cuts.